“We do not become artists. We came as artists. We do not become writers. dancers. musicians. helpers. peacemakers. We came as such. We are. 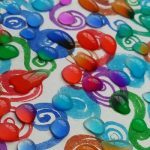 Mindfulness Based Creativity (MBCr) is an 8-week group course exploring the relationship between mindfulness and creativity as a means of playfully enhancing wellbeing and getting in touch with living the life we always imagined by pursuing creative interests as a counter-balance to our busy and stressful lives. Each session provides an aspect of mindfulness meditation, creative writing and drawing exercises. Based on the original Mindfulness Based Stress Reduction Course the MBCr Course utilises Jon Kabat-Zinn’s Attitudinal Foundations of mindfulness (also known as the 7 Pillars of mindfulness) as a structure. We explore what having more curiosity than fear in our lives could look like, feel like and ultimately mean. The two elements of mindfulness and creativity knit together extremely well as both can be addressed from a standpoint of curiosity being greater than fear*, or recognising the fear but not being overwhelmed by it. For many people fear can be crippling or overwhelming, and stops them from exploring new avenues or interests. If we can consider that fear may sometimes be False Evidence Appearing Real (Neale Donald Walsch) we can acknowledge its presence as a natural function of the mind, but not allow it to restrict our choices. Duration: 8 weeks, 1 session per week of 2.5 hours. Led by experienced facilitators in a structured format, each session covers particular drawing and writing exercises that are examined within the context of mindfulness. These include different forms of mindfulness meditation practice and mindful awareness and are designed to guide you through in establishing (or deepening) a meditation practice, thereby allowing mindfulness to become part of your day-to-day life. Please note that this course is run by two of our associates, Dr Lauri Bower Ph.D. and Clare Belbin-Carlile, and you will be redirected to their website for course dates and booking information. Their courses may vary from the structure above so please contact them directly for further information. 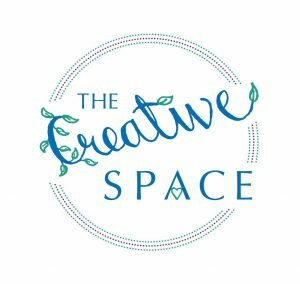 Please click here to transfer to their website, The Creative Space, for further information and course dates. Why the link between mindfulness and creativity? If you want to read more on the research behind the links between mindfulness and creativity, and how each enhances the other, here are links to some relevant articles.